Pillay Plush is the ultimate soft spot for lounging and play. 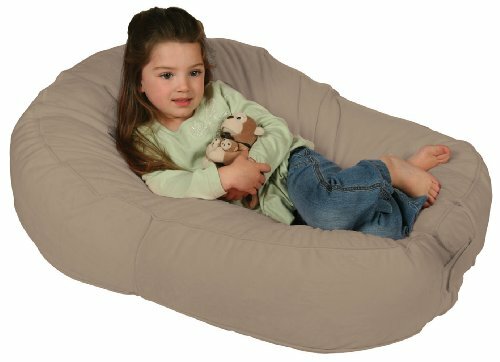 Its unique features, like the center stretch panel and adjustment tabs, enable this lounger to grow with your child, providing versatile comfort for years of enjoyment. Made in the USA. Assembled item dimensions equals L 38" x W 32" x D 12".To clean your removable cover, remove the cover from pillow, machine wash warm, gentle cycle. Use non-chlorine bleach if needed. Tumble dry, lowest heat setting, remove promptly.